If you’re like many other business owners out there, you often struggle with cash flow, particularly if you have lots of clients that pay on account rather than at the time of purchase. While there are a variety of strategies you can implement to get your cash flow in better order, including sending out payment reminders, running credit checks on customers, and reducing your inventory levels, sometimes you still end up coming up short each month. If you find yourself in this position regularly and need more cash on hand in order to grow your business, hire new staff and/or implement new projects, it might be time to consider alternative options. One idea is to check out invoice factoring. A type of financing, invoice factoring (also known as accounts receivable financing or debt factoring) is offered by factoring companies to ventures which sell goods and/or services to other businesses (B2B) or to government agencies (B2G). Factoring companies convert a firm’s outstanding future invoices, those due in 30, 60, or 90 days, into cash that can be used immediately. This frees up cash flow for businesses as it means they don’t have to wait for invoices to be paid in order to get access to funds. Generally a factoring company will pay their clients in two installments. The first will be an advance that amounts to about 80 percent of the invoice value, while the second will be for the remaining 20 percent, minus a factoring fee, that is transferred once an invoice has been paid by the original customer. Factoring firms decide to lend money to their clients based on due invoices because these bills represent a promise that already-delivered goods or services will be paid for. The factors determine that it’s highly likely that a client’s customers will pay these invoices in full, rather than neglect the bill, and advance the money as a result. As you can imagine though, not every business qualifies, and requirements vary from provider to provider. Factors will usually only deal with ventures free of any troubling legal or tax issues, and which have credit-worthy customers. They won’t tend to advance funds for invoices which are due and payable in more than 90 days too. Most factoring companies will also have a set maximum advance value that they will provide to clients. This varies from firm to firm. 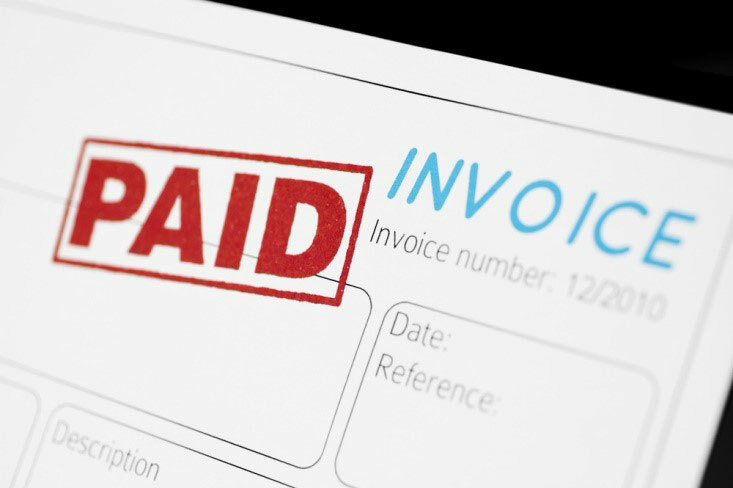 There are a few steps involved in invoice factoring. To start, businesses interested in dealing with factoring need to submit an invoice to their chosen company to see if it (and their venture) is deemed eligible. Due diligence will be conducted on the customers that have to pay for the goods or services too, to check that they are a low credit risk. If the factoring firm approves things based on their research, they will have you sign a financing agreement. These agreements usually include things such as the specific invoice(s) and client(s) you will be factoring, and the maximum dollar amount that can be borrowed to start with. The next step involves the factoring company providing you with your initial advance. While most times this will be about 80 percent of the value of the factored invoice, it can range from 70 up to 98 percent. There are multiple risk parameters used in calculating this advance rate, such as the size of the transaction, the industry your business is in, the type of customers you have and more. Many factoring firms will then also send out a “notice of assignment” to the clients whose invoices they have “purchased.” This letter lets the customers know that you have assigned the factor the invoice(s) in question, and tells them who all future payments should be made to. Once your clients have paid their invoices, the factor will pass on the remaining balance (known as the “reserve amount”), after first subtracting their fees. For businesses struggling with a lack of cash, the obvious main benefit is that using an invoice factoring service provides a short-term solution to cash flow needs. It means that you can continue to offer net terms to your own customers, and thereby increase sales and boost customer loyalty, while at the same time not having to worry about collecting payments and waiting for money to come in. Some other benefits of utilizing factoring companies include that this choice can be cheaper than requesting a merchant cash advance or using other alternative lenders; and that it can be easier to qualify for than a typical business loan, and a personal credit score often isn’t asked for. In addition, the process is generally quite quick, and it is also very flexible, in that you only need to use the service when it suits you – you usually won’t be locked into doing it all the time. When it comes to potential risks involved with invoice factoring, there are some things to watch out for. For example, there can be hidden fees involved in the process with some firms, such as those added on applications, processing, credit checking, or even late fees if your clients don’t pay their invoices on time. As well, be aware that some factoring companies do require a minimum monthly dollar value or amount of invoices to be transacted in order to provide the service. As well, because many factors handle the collection of invoice payments directly once they “own” the bill, this means that you will not have control of how they go about dealing with your clients. If you choose a factoring firm that isn’t polite and respectful when dealing with people, you could end up losing customers as a result. So make sure to research the factoring company you’re considering closely.